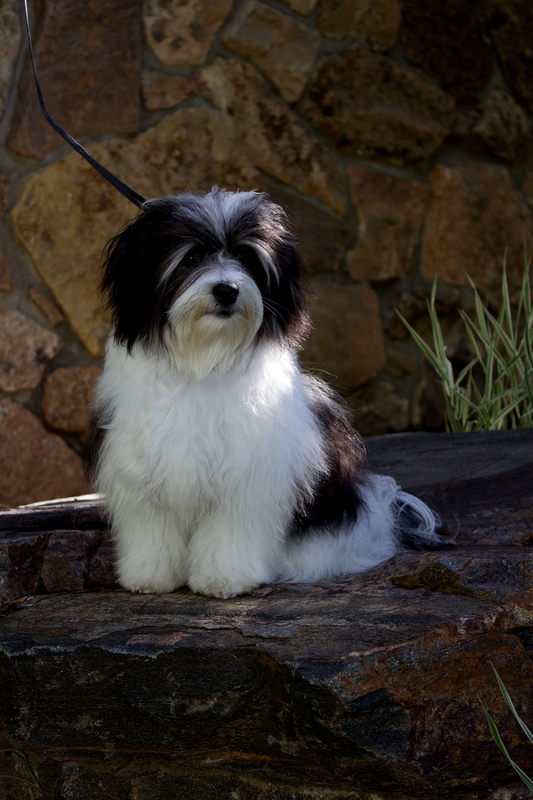 Our adult dogs are fully health tested according to the recommendations of the Havanese Club of America (HCA). In addition, we register our adult dogs with the American Kennel Club or the United Kennel Club, with some being dual registered. We test our dogs annually with the Canine Eye Registration Foundation (CERF). We also test for Brain Stem Auditory Evoked Response (BAER), and we obtain certification of their hips and patellas with the Orthopedic Foundation for Animals (OFA) and have blood work run to assess liver and kidney function. 2015, 2016, 2017 & 2018 UKC Top Ten. Cricket is a dog of a lifetime. 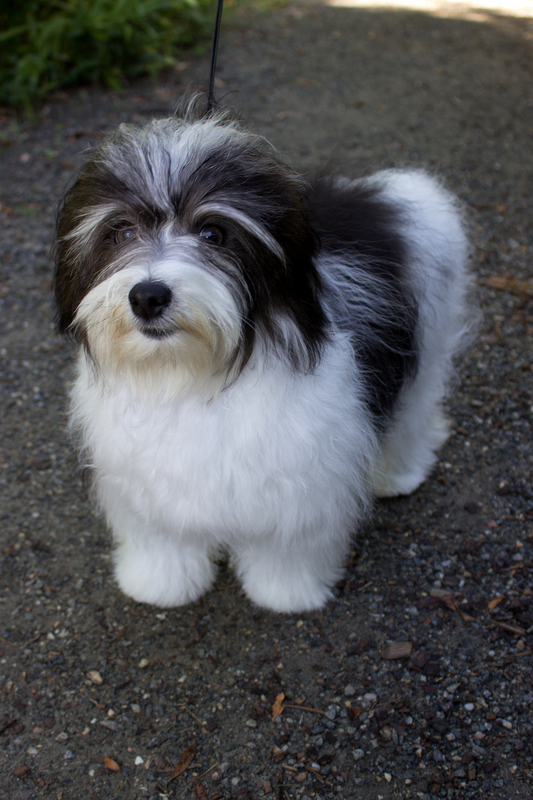 The culmination of my breeding program so far, she embodies the Havanese spirit combined with great athleticism. She is a wonderful girl with an amazing spirit. Bonnie is sugar sweet! This girl is so attentive and easy to train. She was a delight in the show ring, as and still is a delight at home. She's the perfect blend of good looks and gentle temperament. Our current breeding sire, Mojo is no longer living with us at Wildflower Havanese -he's now living the farm life with Aubrey and Andreas. Mojo is currently earning his stripes in obedience and chicken herding under the tutelage of Aubrey on the homestead at Cacophony Ranch. Our retired Havanese no longer live with us, and instead are placed around the country. These amazing dogs have left us with an amazing legacy, and we are so proud of them. Born in New Brunswick, Canada, Lexie produced gorgeous puppies for us. Lexie has a wonderful spirit and is playful and full of vitality. The first time she entered a show ring, she won Best in Show, Novice Puppy, at a 2009 UKC show. Normal CERF, BAER, & patellas. Preliminary test on hips normal. Kingsley is brimming with personality and is just a delight. What a love! 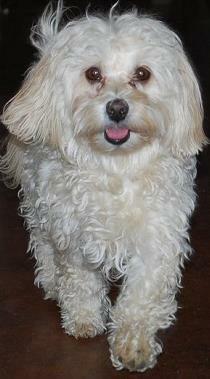 This amazing girl was the most giving of our Havanese. This gentle darling delights in gazing deeply into your soul. She is simply beautiful. Sammi is an amazing dog, always up for fun, and is oh-so-sporty. Her classic good looks and terrific movement made her a joy to show, and her show success speaks for itself in the picture below. Sammi is loving life at Cacophony Ranch with Aubrey and Andreas Suter. She is a master of tricks and knows just how to delight her audiences. 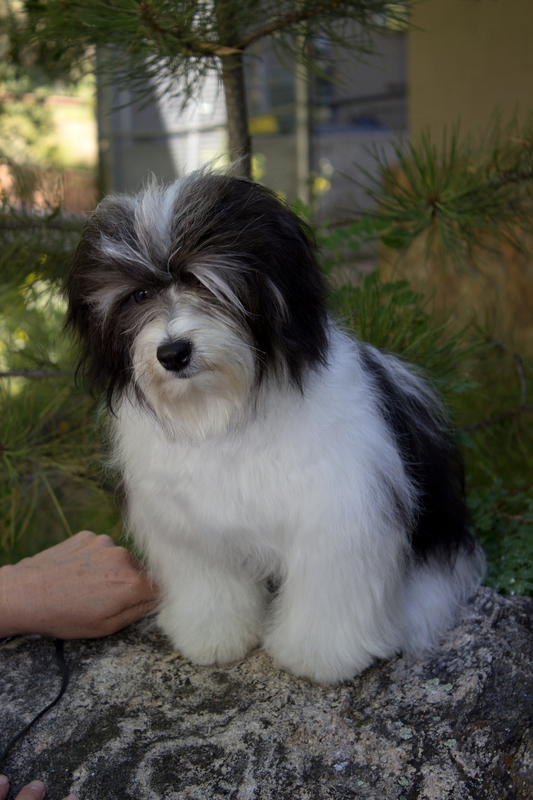 Daisy was the first Havanese and show champion at Wildflower Havanese. After producing many wonderful puppies and having great success in the show ring, Daisy has started a new career as a therapy dog in Boulder, Colorado. 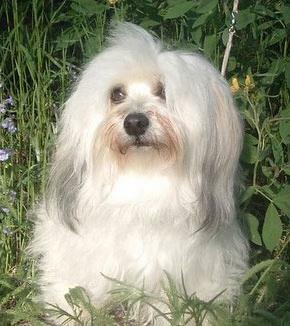 Soji was the #1 Havanese in America, UKC, for 2007. Soji is a happy, mellow fellow, very relaxed - the strong silent type, but a lot of fun. He is the cherished sidekick of Mary in Evergreen, CO.
Tillie achieved a major win in an AKC competition at 6 months old, her first time in the ring. Since then, she has produced wonderful puppies. Now, following in her mother's footsteps (Daisy), Tillie has started a new career as a therapy dog at the Western Slope Center for Children in Grand Junction, Colorado. Sabrina was #3 in the nation in 2007 in UKC. Sabrina is Wildflower's first bred-by-owner girl. She has a lot of personality and knows her way around the show ring. She is highly devoted, elegant and charming. After giving us some of our most beautiful puppies, Sabrina retired to a wonderful new home in Highlands Ranch, Colorado in March 2011. Thanks to Lauren and Barbara for loving this sweet girl. Mikko is from France, originating from Canada. He has a wonderful temperament and fabulous structure, as you would expect. Mikko recently retired to a fine new home, after having fabulously successful careers as both a champion show dog and a sire to some wonderful puppies.